A very superior thriller indeed. 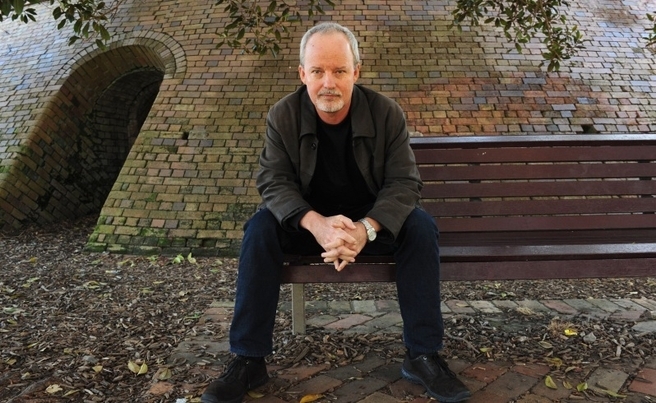 Michael Robotham’s Texan set thriller clearly owes a lot to Stephen King’s Shawshank Redemption as a beginning, an idea, and a kind of relationship: Two convicts, ones the reader is absolutely meant to root for, in essence good and noble men, one black, one white. The white man, Audie Palmer, in theory is obviously in no way hardened, or dangerous, and is likely to get beaten and savaged. But somehow, he survives the ten years of his sentence, despite various inmates making sporadic beelines to try and kill him. He and the black man, Moss Webster, strike up a deep and quiet friendship during Palmer’s sentence. Audie Palmer had confessed to an armed payroll robbery, in the course of which, 4 people died. The 7 million dollars taken in the robbery have never been found, and much of the violence meted out to Palmer in prison was from various inmates and guards and gangs anxious to beat the money’s hiding place out of him. The novel opens the night before the end of Palmer’s sentence : he is to be released the next day. Instead of which, he escapes from prison, and goes on the run. 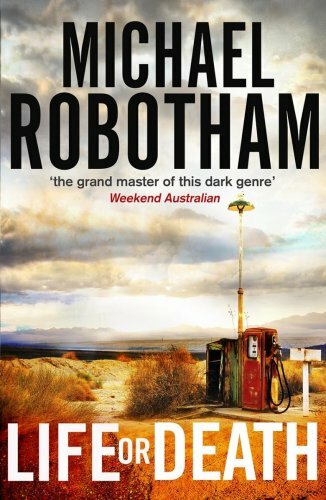 Robotham builds a tightly twisting spider’s web of a story, with some useful red herrings thrown into the mix. Central to the plot is that ten year friendship between Moss and Audie, both their back stories, the strong women in their lives, Audie’s own background, figures with Mob connections, corrupt politicians and business leaders. And good police and bad police. And much more. It’s a brutal story (if not always completely believable in terms of the amount of beatings, maimings, shootings and the like that the fictional human body survives) but what lifts it above just another thriller is the strong characterisations (although I do have a cavil, here too) and the extremely well drawn relationships. Audie and Moss, and their respective significant others are all extremely attractive characters, whom the reader will care about, and have empathy with, and this is also a big plus for this book. You will be involved, without a doubt. If I couldn’t quite go fully surrendered 5 star on this it was for two reasons. Firstly, in order to make all those many cliffhanging tension moments that are scattered in the various chases (all very filmic), there were rather too many coincidences for my liking, and in fact I did think, ‘this is filmic in structure – I could ‘see’ the cutaways, and indeed hear the kind of soundtrack playing in my head – it for sure will get made for the screen. I would lay money on that, even if not quite a missing 7 million dollars! And the second reason is that though absolutely excellently done our heroes and our villains are on the one hand a little too noble and on the other, a little too unremittingly sulphurous in their villainy. I do prefer the greater discomfort of nuance. And………I admit to crying at the end of the book…………but it was a little crossly……..there is a ‘wrap’ which in terms of the sentiments expressed (which I wouldn’t necessarily argue with) came across as veering into sentiment and corn. 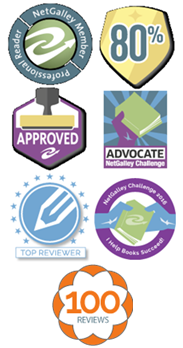 So, I kind of felt a little manipulated. Now I have no objection to crying, but prefer that emotional response to not feel ‘worked on’ – this was a bit cue Hollywood, swelling sobbing strings.